First, we will be unveiling our Haitian Kreyól program on Wednesday, August 26th at 4pm with a Haitian Creole Tea Party at CLACS at 53 Washington Square South Rm. 404. Instructor Wynnie Lamour will be introducing the program and answering questions about her course. This event is open to all NYU students both undergraduate and graduates. For more information about our fall courses click here. At 6pm on Wednesday, all are invited to a presentation of the renown CLACS Quechua program. Think you may be interested in learning the most widely spoken indigenous language in South America? Following this presentation at 7pm, the first of six elementary Quechua classes will be taught by native speaker and CLACS MA student Gladys Camacho Rios. 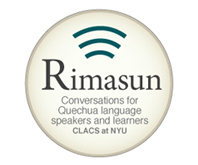 These classes are meant as an introduction to the experience of learning basic Quechua do not require registration or prior experience with the language, and are open to all students atNYU. For information about the for-credit Quechua courses for undergraduates and graduate students click here. 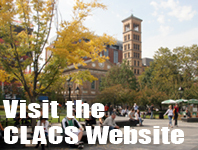 We look forward to hosting you at CLACS for these events. This entry was posted in CLACS News, Events and Happenings and tagged Bolivia, Haiti, Haitian Creole, NYU, Quechua, Student Orientation. Bookmark the permalink.